Gilgit Riveria Hotel has 18 well kept basic rooms with baths hot & cold weather and heater during winter, There is a Camping site in the hotel garden, Car parking facility, heating system. Rent a car and horse riding facilities. The hotel is situated in front of Gilgit river. Riveria hotel has conference facilities for upto 120 people the hotels can cater for large groups by using the adjacent Gilgit continental hotel. 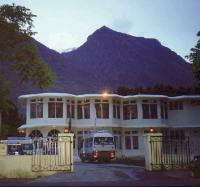 Riveria Hotel Gilgit in Gilgit, offers above rates only to Hunza tours. 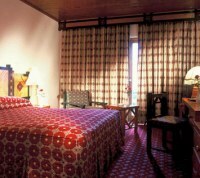 The online reservation payment must be made to Hunza tours not the hotel. Book your events, Meetings, Conferences Marriage parties at Riveria Hotel Gilgit or any other hotel in Gilgit please feel free to email us we will offer you the best possible rates and perfect arrangements to suit your events.